Call2Recycle is the nation?s most comprehensive rechargeable battery and cellphone recycling program featuring retail and community collection locations across Canada where consumers can drop off used rechargeable batteries and old cellphones. Through RBRC?s recycling network, reusable metals from Nickel-Cadmium (Ni-Cd), Lithium Ion (Li-ion), Nickel Metal Hydride (Ni-MH) and Small Sealed Lead (Pb) batteries are recovered and recycled to make new products such as new batteries and stainless steel. Cell phones collected through the Call2Recycle program are recycled or refurbished and resold, with a portion of the proceeds benefiting national charities. Montréal Fire Departments? participation. Sixty-five Montréal fire stations signed on as active collection sites for the Call2Recycle program. Program supporter, Guy Lafleur of Montréal Canadiens? fame, was on-hand for the program launch event. All associated fees waived for businesses. Businesses need no longer pay for the shipping of rechargeable batteries and cellphones collected at the workplace. 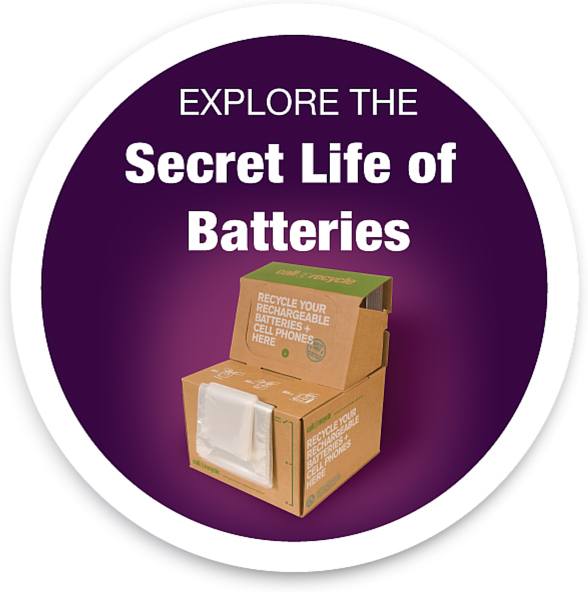 Once registered, participants receive a free shipment of collection boxes that includes pre-paid shipment, pre-addressed shipping labels, safety instructions and plastic bags for each used rechargeable battery and cellphone. Oldtimers? Hockey Challenge 2005 Sponsorship. RBRC was proud to support the Western Canadian road tour of the Oldtimers? Hockey Challenge 2005 where Guy Lafleur and other Canadian Hockey legends played hockey with local teams in such cities as Edmonton, Vancouver, Calgary, Saskatoon and Winnipeg. RRFB Nova Scotia Mobius Environmental Award. Received the ?Industry Steward of the Year? award at the 7th Annual Mobius Environmental Awards presented by the Nova Scotia Resource Recovery Fund Board. Held this year at the Brightwood Golf and Country Club in Dartmouth, the Mobius Environmental Awards are given in recognition of Nova Scotians who have made a significant contribution toward protecting the environment. For more information or to find the nearest participating drop-off location, call 1-877-2-RECYCLE or go online to www.call2recycle.org.